Once a week, we are some calligraphers who get together and write together. We borrow a room of Folkuniversitetet (an adult educational association). A few weeks ago when we left the building we met at the stairwell a bookbinder. I'm following her blog http://shemahsbokbinderi.wordpress.com . Shemah's blog is stylish, very inspiring and she gives so many good tips. Shemah was just as nice in real life as she is on the blog. We took the subway togheter and we were all a little sad that she had to change metro line - because we had so much fun to talk about. 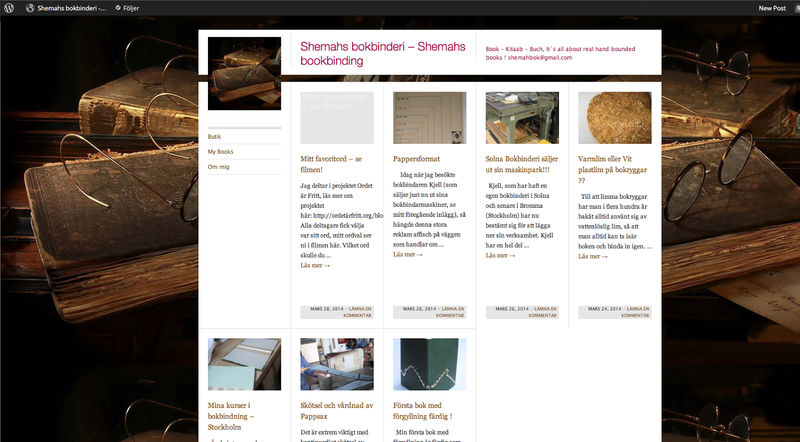 I hope I will soon be visiting Shemahs bookbinding studio.